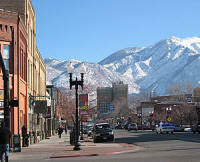 Located in one of the most pretty and charming of all small towns, The Ben Lomond in Ogden, Utah offers outdoorsy recreational activity as well as ghostly activity! Originally built in 1927, the Ben Lomond Hotel is a stunning example of the Italian Renaissance Revival style, common in the 1920s, but unusual for Utah. It gained national attention when it hosted the Western Democrat’s convention in 1928. Marriner Eccles bought the hotel in 1933 and renamed it the Ben Lomond. 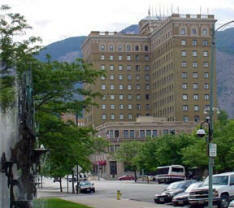 And in 1990 the hotel was added to the National Register of Historic Places. Interestingly, there is no floor 13 because back when it was built, the builders were superstitious so they skipped number 13 and built from 12 to 14. Okay, but about the ghosts, right? Reportedly, there is a ghost who is believed to be that of Mrs. Eccles. While living in the Ben Lomond she awaited for her son to return from WWII. When she learned he had died, she was so grief stricken, she let herself waste away in her room. Nowadays her ghost still lingers within the hotel. Unusual events that have been reported include an elevator that stops at floors when no button has been pushed and calls coming from room 1106 to the front desk – when no one is staying in room 1106! The line just goes dead. Curious who Ben Lomond was anyway? Actually, it’s not a who - the hotel was named after a mountain located in the southern Scottish Highlands.